General Hospital Casting Spoilers: Days Of Our Lives Alison Sweeney Takes Job on ‘GH’ – Move Confirmed! 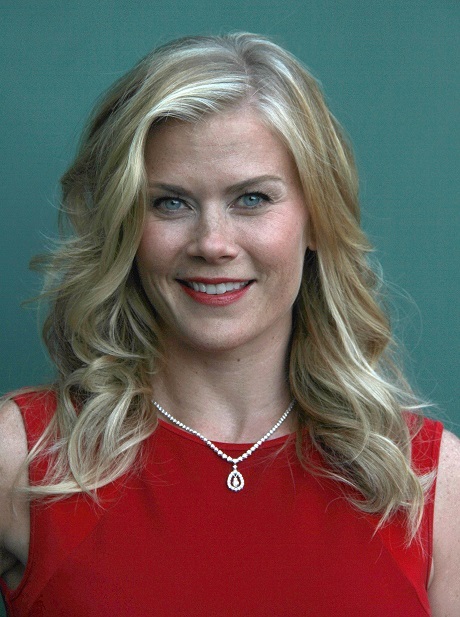 I have to think that TPTB over on Days Of Our Lives aren’t too happy to learn that Alison Sweeney is headed to General Hospital. No, she hasn’t been cast in some new role on the show and she’s not being brought into Port Charles to mix things up a bit. Instead, Sweeney will be behind the scenes working as a director. That in itself isn’t such a huge deal. We all kind of knew that Sweeney wanted to do different things after portraying Sami Brady for twenty years; however, according to Soap Opera Digest, there is a bit of a catch. GH’s Executive Producer Frank Valentini says that Sweeney has paid her dues and knows the show — because she has spent time shadowing his team. When exactly did this take place because Sweeney just finished taping her last DOOL scenes in late May. It sounds like,in between her work on Days and on The Biggest Loser, Sweeney was putting in some time behind the scenes at GH and that probably isn’t sitting well at all with the head honchos at Days! As for her new job at GH, Valentini said it was quite simple — a position opened up, he offered it to Sweeney, and she took it. Sweeney will be directing her first episode this month. What are your thoughts on Sweeney’s hop over to GH? Do you think that she asked to shadow those working on Days and she was shot down, leading her to turn to other possibilities? Or did she always intend to work on GH? Keep checking CDL for all of your GH spoilers and Days of our Lives spoilers!